Is there a room in your Rockland County, NY home that never seems to get quite warm enough during the winter, but you’re worried about installing additional ductwork? That’s an easy fix when you turn to the experts at Clarkstown Heating & Air Conditioning. Where ductwork is unfeasible or downright impossible, we can offer you another heating system option that can take your space from chilly to cozy –a mini-split heating system. Unlike a clunky space heater, which can get in the way and sometimes cause safety issues, mini-split heating systems are sleek and non-obtrusive. Warm up that cold space in your Rockland County, NY home with a mini-split heating system from Clarkstown Heating & Air Conditioning. At Clarkstown, your home comfort has been our priority since 1976 and it has been a pleasure to serve customers in Rockland County, NY over the years. As the industry progresses, so do the heating solutions we offer. Mini-split heating systems are not always as well known as some of our other heating system solutions, but they may just the perfect fit for your home comfort needs. Mini-split heating systems are high-efficiency systems that allow you to heat spaces with no ductwork and keep them comfortable as other spaces in your home or office. This heating option can be used not only in spaces that have no available ductwork, but they can also be used to balance out cold spots in your home or office. Our NATE and EPA Certified heating technicians can help you to determine if a mini-split heating system is the answer to your heating needs. 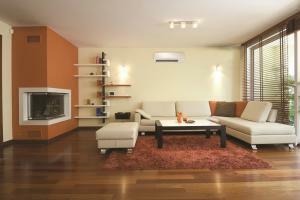 Why Choose Clarkstown for Mini-Split Heating? If you’re interested in learning more about mini-split heating systems, one of our trained technicians will visit your home to discuss the various heating options available to you, including the different options for mini-split heating systems. We will use our expertise to create a customized heating solution just for you. Clarkstown Heating & Air Conditioning has provided expert heating installation in Rockland County, NY for nearly 40 years. We can install your mini-split heating system in just a few hours, no patching, painting or ductwork required. Plus, the mini-split heating system mounts directly on your wall or ceiling, and blends well with virtually any décor. Turn to the experts at Clarkstown Heating & Air Conditioning for your new mini-split heating system in Rockland County, NY. Keep your entire home warm and cozy this winter. 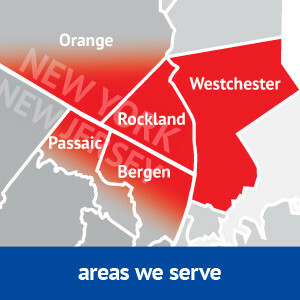 Call us at (845) 620-1000 and we’ll be more than happy to assist you.